One of Lytham’s best known and longest established restaurants is closing its doors after its New Year’s Eve celebrations. Portofino and the adjoining bar Mojito have been sold by owner Orlando Peracca after 25 years in Henry Street. Mr Peracca says he intends to concentrate on his other business in town, the Zest bar-restaurant in Market Street, as well as taking the opportunity to take life a little easier. He says Portofino and Mojito have been bought by ‘a private individual’ but does not know what the plans are for the building. He also says his decision to sell is not related to the one-star hygiene rating Portofino received from Fylde Council after an inspection in October. “Discussions over the sale have been going on for about a year,” he said. A statement on its Twitter account ahead of Momnday’s closure said any vouchers could be used at Zest, Lytham. Denize Ashton, chairman of the Lytham Business Partnership, said: “Portofino/Mojito is the site of many first dates, proposals and other celebrations, and will be remembered fondly by all. 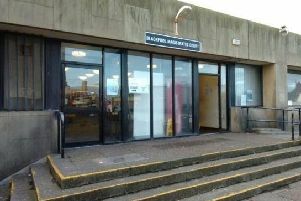 Latest convictions from Blackpool Magistrates' Court - Tuesday, March 26, 2019.